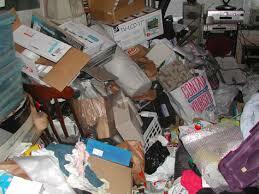 ← Clutter – what is it? I feel your pain. We are still trying to justify keeping the stuff that needs to be ironed or polished. A friend told me to say “thank you for being in my life, but it is time to say goodbye”. Your kids don’t have time to iron linen tablecloths or polish silver or wash crystal by hand. The thrift stores are happy to take them and sell them to other old ladies who have more room and time.